Are you fed up with your job? Do you have plans for making your own business? Are you afraid of starting? Do you think it’s a very complicated process? Do you hesitate where to start? If your answer is yes, so this book is written for you. 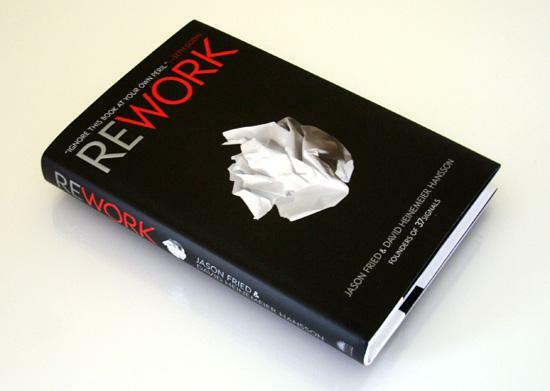 “Rework” is a revolutionary and an original book where Jason Fried and his partner David Hansson push aside all the theories and approaches of management we used to know and explain their own vision of business and startups. Fried and Hansson believe that the key of success in the business world is to keep things simple, to focus on action, practice and pro-activity and to use efficiently the available resources. The book contains 11 chapters. 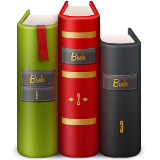 The first one is an introduction, when each of the other chapters, is dedicated to a specific principle we should care about when starting a business. In this review, I’ll try to share with you the tips mentioned in this book. 1. Don’t listen to people who try to discourage you and devalue your ideas and your dreams. Just keep going and create your own world. 2. Failure is not a prerequisite for success. So try to succeed and learn from your success rather than from your failure. Only success gives you an idea about what you should do next time. 3. Plans are actually guesses. When you make a plan now, you can’t have all the elements to take long-term decisions. Such a plan will limit your improvisation and your flexibility. So think about the future but don’t obsess about it. 4. Don’t stress about making your business bigger, try only to have a sustainable and profitable business. 5. Workaholism is stupid. It makes you unproductive and unable to take decisions, and makes you waste time on unnecessary details instead of focusing on important problems. 6. Don’t call yourself an entrepreneur, a starter is more convenient since you start the business based on your love for it, not on the diplomas or certificates you’ve had. 1. What you do must have an added value, produce something different and useful. 2. Do something you care about, solve your own problems, and then you will be solving indirectly others’ problems. 3. An idea without action is meaningless, so if you have an idea, what are you waiting for? Go and start executing it right now. 4. Don’t ever say “There’s no enough time!”. There will be always enough time if you want something bad. You will manage to have time to do it. 5. When creating a business, you must have principles you believe in and you fight for despite of others critics. 6. That’s not enough to write down what you stand for, and to make your clients know it. You should instead live it and believe it, that’s the only way you get your clients trust. 7. Do your best to avoid outside funding. Otherwise, you’ll be addictive to others money, you will lose control and you will sacrifice quality to give money back to investors. 8. Your needs are limited when launching your first product, so optimize resources as better as you can. 9. The startup concept makes you live in an imaginary world where business laws are not applied to you. Create a business not a stratup, face the real world and try to make a profit. 10. Instead of thinking about an exit strategy, you’d rather think how to make your business grow and succeed. Thinking about failure takes you directly to failure. 1. Limited resources make you creative. Force constraints and you’ll be amazed of what you can do with what you have. 2. Don’t be obsessed about putting all your ideas in a single product. Build a small, well done product and leave the details to later. 3. Find your business epicentre, start with the stuff you have to do and make it the best it can be. 4. Don’t postpone decisions, if you meet a problem, decide about it right now, and if you make a mistake, correct it later. 5. Take your business as a museum and be a curator. Among all the things that have to be done, stick only to what’s truly essential. 6. If you have a problem, don’t throw more at it, keep it small so that you can control it. 7. Focus on the permanent features of your business, on the things people will always want and except. 8. Don’t obsess over the equipment (tools, furniture, office space...) and focus on what’s more important (quality and profit). 9. Every business has by-products, so tap into your waste, produce a by-product and sell it. 10. If you impose a deadline, try to meet it and don’t be distracted by luxuries. Get the final product through iterations but ensure in parallel a good quality. 1. Abstractions (reports, documents…) create illusions of agreement. The same words read by different people, could be understood with different ways. So avoid abstractions and make something real. 3. Avoid interruptions like synchronous communication, and get in the alone zone where you can focus and work efficiently. Set a timer. When it rings, meeting’s over. Meet at the site of the problem instead of a conference room. Point to real things and suggest real changes. 5. For all your problems, find a judo solution, one that delivers maximum efficiency with minimum resources. 6. If you want to keep your motivation up, try always to accomplish small wins. They will keep your spark lighting and alive. 7. When you meet a problem that costs you much more time than expected, so quit it or bring other people to see it, but don’t ever waste your time in something that isn’t worth it. 8. The lack of sleep causes stubbornness, diminished morale, lack of creativity and irritability. So don’t forget to sleep and have some rest, this will help you be more efficient. 9. Experience has shown that our long term estimates are never accurate. So to reduce the margin of error between your estimates and the reality, break big projects into many small projects of 2 weeks maximum. 10. Long lists make you feel guilty and demoralized. Break them into smaller lists and prioritise important things by putting them on the top of the list. 11. By making big decisions, you stop being objective and the change becomes hard. The solution: even with big plans, make always a tiny decision at a time. 1. If you are a copycat, you will miss the chance to know how and why your business works, and you’ll be always out of fashion. So be influenced but never steal. 2. To protect yourself from copycats, add you own personal touch to your product, and make your business special. 3. Start a war against a competitor, you will be noticed by people and his opponents will be your supporters. 4. Do you want to beat your competitors? So stop one-upping them. The fact that your product does less is a good point too; at least this will make its maintenance easier. 5. Do not pay attention to what your competitors do, focus on yourself and on how to improve what you are doing. 1. The client is not always right, so you must learn when to say yes and when to say no. Stick to what you believe in and explain your point of view to the client, he will sure be understanding. 2. Don’t adapt your product to a specific client. Keep it as simple as possible to encourage other people to get on board. 3. Don’t try to execute every idea that comes to your mind, even if it sounds innovative. Instead, evaluate those ideas and plan them for later. 4. Make an at-home-good product instead of an in-store or an in-media good product. Customers must be more satisfied with your product after they take it home than before. 5. Listen to your customers but never write down what they ask for, if it’s something important, it’ll come over and over. 1. Take advantage of being in the shadows, take risks and make mistakes. When you’re a success, you will be under the microscope and change will become more difficult. 2. Don’t build a clientele, build an audience. Instead of wasting money on ads, share information with people through blogs, videos, tweets and be sure they will come back to see what you have to say. 3. Big companies can make good ads but their weak point is secrecy, tap into this and teach your customers, you will gradually earn their trust and respect. 4. Emulate chefs and share your knowledge. Don’t be afraid of copycats, they will never be able to do the same as you. 5. People are curious about how things are made, so let them behind the scenes and show them how you work and the effort you make. 6. Don’t be obsessed with perfection. Be simple and don't shy away from showing your imperfections to people. Just be real. 7. Stop spamming journalists to write about you. It’s useless. Instead, target only one person, do it with passion and be unforgettable. 8. When you’re starter, forget about mainstream publications, focus on trade publications and niche bloggers, they are always in search of new stories. 9. Emulate drug dealers. Make an addictive product and give people a free taste. If it’s worth it, they will come back to buy more. 11. Don’t believe on the myth of overnight success. You have to work for a long time before people notice. So be patient and just do your work. 1. Before hiring people to do a job, try to do it yourself. It will help you select good people for the job, you will know when to criticize and when to support, and you will be involved in all the aspects of your business. 2. Don’t hire for pleasure. Hire when there is more work than you can handle or when the quality goes down. 3. Hire rapidly and you will find yourself with strangers at a cocktail party. People will tend to be polite and courteous and will avoid conflicts. So if want an environment of challenge and honesty, hire slowly. 4. Résumés are a joke; don’t base your judgment on them. Instead, check the cover letter, it’s more personalized, and if you think it can match your need, move to the interview. 5. The number of years of experience doesn’t give a clear idea about a candidate, you still can’t know if he is intelligent, productive and serious, or if those years were only years of irrelevance. 6. The academic education has nothing to do with the business world. So when hiring, don’t target people with high diplomas or certificates, they probably won’t respond to your business need. 7. Avoid hiring delegators, those people who, instead of getting things done, pull people into meetings and delegate their tasks to others. 8. Ensure that you hire self-managers, those people are autonomous and responsible and don’t require much supervision. 9. Hire good writers. Good writing is a sign of clear thinking and good communication. 10. Hire talented people, regardless of where they are, but make sure to be always in touch with them. 11. Interviews aren’t enough in most cases. To be sure of people you hire, put them in a real mini-project and see how they act. 1. If something’s wrong in your business, don’t hide it, be honest with your customers and tell them the real story. Otherwise, you let other people control the situation. 2. Don’t let your customers wait, answer them quickly, and when you don’t have an answer, tell them you need time to do some research. 3. If you make a mistake, avoid the general apologies; be explicit and credible about what happened and try to be really sorry. It’s the only way you earn your customers trust. 4. Put everyone in your company in the front line, connect them directly to customers, and let them listen to their needs so that they feel involved and responsible. 5. If people are not satisfied with a change, don’t react quickly, take a breath, let it go for a while and see what happens. 1. Culture is not about events and slogans; it’s a by-product of consistent behaviour. So don’t force it, it just needs some time to develop. 2. Circumstances change and so are your decisions. So spare your time, energy and money and don’t think of problems until they happen. 3. If you want to have trustful and autonomous workers, provide them a great environment that develops respect and privacy. 4. Don’t treat your people like children, and don’t ban them from some legitimate diversions (surfing on the net, visiting social networks…). It’s the way you can build trust between you and them. 5. Working more doesn’t mean working better. So, give some freedom to your employees and respect their other occupations. You will see, they will surely manage to organize their time and be more efficient. 6. Don’t create a policy because one person did something wrong once. That’s how most businesses turn into bureaucracies. 7. Don’t obsess about appearing big and professional. Instead, try to communicate simply and directly and avoid formalities. 8. Four-letter words like need, must, can’t, only, and fast shouldn’t be used in business. Those words lead you to generalities and make it hard to find a solution. 9. Stop using ASAP in every request. Reserve it to real emergencies. The real strength point of 37Signals is simplicity. So the authors ensured to write a book with a simple, conversational and informal style. They tried to get close to readers by being as direct and clear as possible. Some tips in the book are, in my opinion, risky and dangerous if we follow them literally, like letting down plans or starting a war against a competitor. But in general, I found the tips very interesting because they are realistic and based on experience not only on theory. I also congratulate the authors for their daring, because they’ve broken all the rules of writing and of management and published a very different book. That’s why; I rate the book 5/5. 37signals is a privately held web application company based in Chicago, Illinois. The firm was co-founded in 1999 by Jason Fried, Carlos Segura, and Ernest Kim as a web design company. Segura left in 2000 and Kim left in 2003, leaving Fried as the only remaining founder. Since mid-2004, the company's focus has shifted from web design to web application development. Its first commercial application was Basecamp; this was followed by Backpack, Campfire, and Highrise. It maintains two freeware web applications, Ta-Da List and Writeboard. The open source web application framework Ruby on Rails was initially created for internal use at 37signals, before being publicly released in 2004. 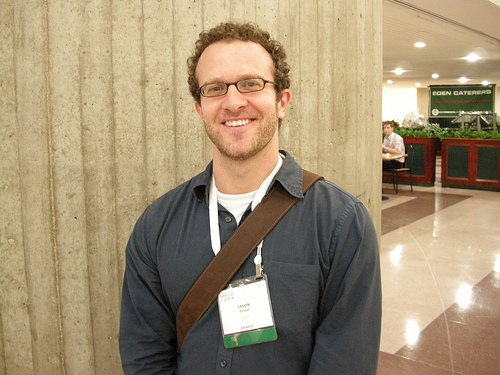 Jason Fried is the co-founder and President of 37signals. Jason believes there’s real value and beauty in the basics. He co-wrote all of 37signals books, and is invited to speak around the world on entrepreneurship, design, management, and software. In 2006, he was named to the MIT Technology Review TR35 as one of the top 35 innovators in the world under the age of 35. Hansson was born in 1979 in Copenhagen, Denmark. He joined 37signals in 2001 in response to a need of a PHP profile. In 2003, he started work on Basecamp and in 2004, he decided that it was time to drop Java and PHP in favour of programming in Ruby. His first project in Ruby was Basecamp and out of that came Ruby on Rails. 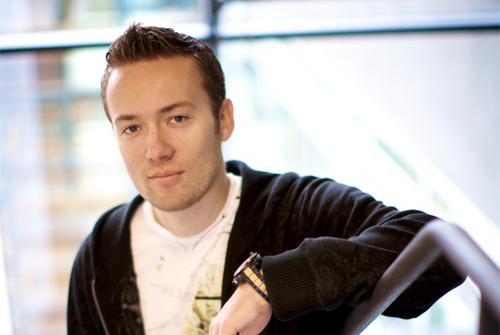 He left Denmark for Chicago in 2005 after finishing his bachelor's degree from Copenhagen Business School. Later that year, he won Best Hacker of the Year 2005 at OSCON from Google and O'Reilly for the work on Rails. His work with Ruby on Rails also led to a LinuxJournal cover and mentions in the pages of Wired, Business 2.0, Chicago Tribune, and other publications. He is the co-author of Getting Real (over 40,000 copies sold) and Agile Web Development with Rails (over 100,000 copies sold). For years now, he’s been a frequent public speaker.